The economic impact of the Ebola virus outbreak in the most affected countries — Guinea, Liberia and Sierra Leone is still unraveling, as figures are being collected. Yet, it is still unclear when the deadly virus will be contained. Even the most optimistic projections paint an uncertain economic future for those three countries, which, before the Ebola outbreak, were ranked among the world’s poorest. The 2014 UN Development Programme’s Human Development Index, which ranks countries based on income, life expectancy, education and quality of life, placed Sierra Leone 183 out of 187 countries, Guinea at 179 and Liberia at 175. The fear is that Ebola could eat away at the slim improvements that new investments have produced. A World Bank study on the economic impact of the Ebola epidemic in 2014 identified two possible scenarios. The first scenario is “Low Ebola” — when the disease is contained by early 2015, cases stay around 20,000 and economic activity gradually increases; the second scenario is “High Ebola” — when the disease is contained more slowly, cases reach up to 200,000 people and the outbreak worsens significantly into 2015. The bank observes that in the “High Ebola” scenario, West Africa’s gross domestic product (GDP) could suffer a $32 billion loss by 2015; in the “Low Ebola” scenario, GDP loss for the region could be about $4 billion. In a “Low Ebola,” Guinea’s GDP would contract to 2.4% from 4.5%; Liberia to 2.5% from 5.9%; and Sierra Leone to 8% from 11.3%. Clearly, the wheels are coming off these economies. “The Sierra Leonean economy has been deflated by 30% because of Ebola,” Joseph Sesay, the country’s agriculture minister, told the BBC. A UNDP report – ‘The Economic and Social Impact of Ebola Virus Disease in Sierra Leone’, warns that Ebola could wipe out post-war economic gains in the country. Currently, there are food shortages even as the local currency – the Leone, is depreciating at a fast pace. In Liberia, the price for a bag of rice – the staple food, increased from $28 to $35 since the epidemic began. The price of fish also increased following the government’s warning against eating “bush meat” – a local favourite. 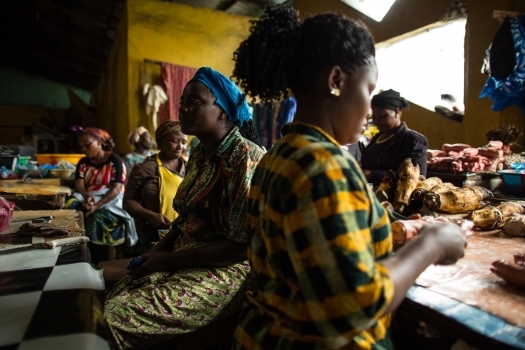 Sanitary products such as plastic buckets and chlorine are now more expensive than before the Ebola outbreak. Foreign investors are withdrawing in droves from worst-hit countries. ArcelorMittal, the world’s leading steelmaker, recently moved its expatriate staff out of Liberia. London Mining – a British company also removed staff from Sierra Leone. Without iron ore, Sierra Leone’s GDP which grew by 20% in 2013, will fall to 5.5%, according to the International Monetary Fund (IMF), stressing how critical the iron ore sector is to the country’s economy. Fearing for staff safety, a number of international non-governmental organizations in Liberia have also closed their operations. There is no confirmed Ebola case in Ghana, but that hasn’t stopped mining firms from evacuating foreign staff and slowing down their operations. Business Day, a Ghanaian publication, reports that top hotels in Accra – the capital city, which are usually almost full, now have just 30% occupancy rate. Ghana and Côte d’Ivoire produce 60% of the world’s cocoa, a sector also threatened by Ebola. There are fears that Ebola could spread into these countries. “Any threat of that virus disrupting the flow of harvested cocoa beans out of the producing regions could threaten to increase cocoa prices once again,” says research analyst Nitesh Shah of ETF Securities, a London-based investment firm. By mid-October 2014, due to a drop in production caused by Ebola, international cocoa prices had surged by 18.5%. The Ebola virus has also affected infrastructure projects. For example, a highly anticipated World Bank-funded road project linking Liberia and Guinea was suspended, and the contractor – China Henan International Cooperation Group, pulled out its workers. In addition, with border closures and travel bans around the region, intra-sub-regional trade, already at an abysmal 12%, is likely to get worse. “We used to import goods from Nigeria to sell here [Sierra Leone], now we cannot do that because there are no flights,” says Chris Eyen, a Freetown-based businessman. 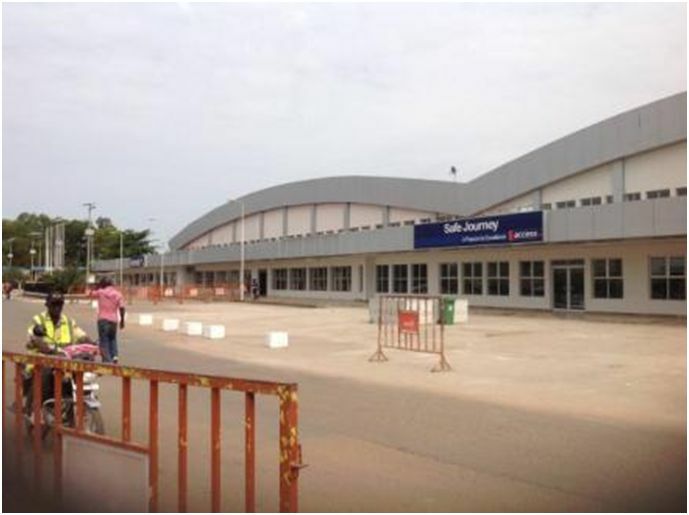 (Photo: Sierra Leone’s Lungi International Airport). In addition to flight cancellations, most shipping lines are no longer berthing in Liberia. Other countries in the region are experiencing a ripple effect. The Gambia, which derives 16% of its GDP from tourism, is seeing up to 65% decline in tourism receipts, according to Benjamin Thomas, the country’s tourism minister. And in Senegal, with fewer tourists, its GDP could contract by 1%, notes the World Bank. Economists may be ringing the alarm bells, but many development experts say there’s no need to press the panic button. The World Bank is calling for a swift national and international response to mitigate Ebola’s economic impact. Already, the IMF is providing $130 million emergency relief to Ebola-hit countries, even as the US wants the fund to augment that amount with a $100 million debt relief. At the last G20 meeting in Brisbane, Australia, held in mid-November 2014, leaders of the world’s leading economies backed the IMF relief fund. Donors are scaling up their support, says World Bank President Jim Yong Kim. The UN initially appealed for one billion dollars to fight Ebola, of which $800 million had been received by mid-November, according to David Nabarro, the UN system coordinator for Ebola virus disease. Dr. Nabarro said that up to $1.5 billion was now needed. There is a sense of urgency in global efforts to contain the virus. But there is also an understanding that revamping economies devastated by Ebola could prove challenging.